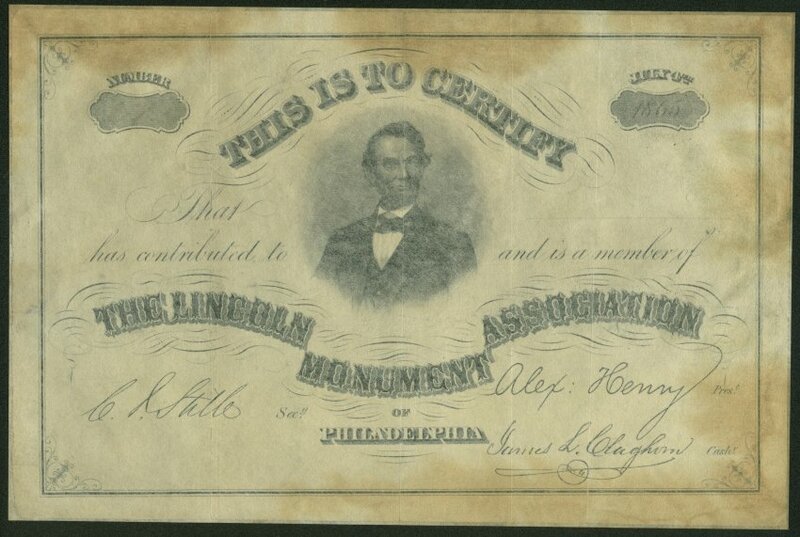 This certificate from the Lincoln Monument Association of Philadelphia was issued on July 4, 1865, to John A. Brunner. By 1871, the Lincoln Monument Association raised enough funds to erect a bronze sculpture of President Lincoln in Philadelphia's Fairmount Park. The sculpture became one of the first monuments in honor of the President after his assassination.